March 23, 2016—-In today’s energy conscious world, greenhouse gases are a target in the efforts to reduce global warming. 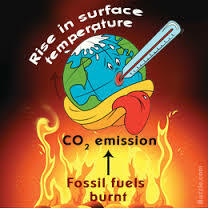 The primary greenhouse gas is CO2, largely a product of burning fossil fuels. 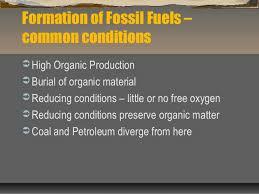 The term fossil fuels implies that these fuels are of ancient origin and such is the case. The climate of Earth has oscillated widely over the past 570 million years. Vast ice sheets covered the planet at times. At other times the earth was warmer than it is now and species of plants and animals diversified rapidly. There are three main forms of fossil fuels: coal, oil, and natural gas. 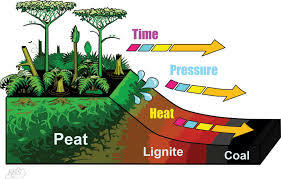 During the Paleozoic Era, coal and petroleum formed. The Carboniferous period (late Paleozoic Era–36-286 million years ago, ) was dominated by widespread warm climates with intermittent glaciation. As the Southern Hemisphere ice sheet expanded and contracted large changes in sea level took place. During periods of glacial retreat, sea levels rose, drowning vast areas of tropical forests and burying them in ocean sediments. Many of plants living at this time were representative of a marsh or swamp environment. Some plants showed layered roots, such as those found in modern bogs and some of the plants actually floated on open water. Trees of this period show a lack of development of growth rings, indicative of a climate without marked seasonal differences. In all, the representative vegetation suggests a warm, moist climate that favored a luxurious plant growth. These buried layers of ancient tropical forests are the coal and oil deposits of today. Microorganisms buried in sediments were the raw materials of petroleum. The search for petroleum has provided most of our current information about the earth’s crust we have today. In 1859, in Titusville, Pennsylvania, the first producing oil well was drilled. This well tapped a petroleum saturated sandstone that was just 10 meters below the surface. Coal is essentially fossilized carbon. The essential ingredient in coal is carbon but it also contains varying amounts of hydrogen, oxygen, nitrogen, and sulfer. The term coal covers a wide range of carbon. The carbon content of coal varies a great deal and so there is, in fact, a great variety within the general category of coal. The beginnings of coal are the great peat bogs which often contain large quantities of dead organic matter. In the northern hemisphere the last glacial advance left large, relatively flat areas which became large swamps, particularly in the spring. They gradually turned into peat bogs. The dead, organic matter from these bogs burned when dried out or drained. Such fires, probably started by lightning, can burn for months. When dried some of these regions have become the most productive grain producing areas of the world. Peat is a forerunner of coal. When conditions are right it can become coal, given a great deal of time. Peat is used today as an industrial fuel in parts of Europe and Asia. The lowest grade of coal is called lignite or brown coal. It contains a little more than 50% carbon. The middle grade of coal is classified as bituminous and contains from 75%-90% carbon. Bituminous coal is the most widely used fuel for industrial use today. The highest grade coal is Anthracite and it is used mainly for central heating. What is significant about burning different grades of coal is how much waste gases are given off when burned. The lower the carbon content the greater the amount of waste gases, which constitute what we call greenhouse gases. Compared to oil and natural gas, the carbon content in coal is much lower so it is often called dirty coal. All fossil fuels contain some greenhouse gas components. It is for this reason that there is now a focus on renewable fuels. From the beginning of the industrial revolution, 200 years ago, coal has propelled industry to tremendous growth. This same industrial growth supported a rapid growth in global population. The growth in industry has not been without serious consequences to both the environment and to the human population. Current changes in the environment are rampant. The use of coal has taken a tremendous toll on many species of plants and animals including, directly or indirectly, extinction! While coal has been a tremendous asset in economic growth, it has reached the point where its use as an energy source is a hazard to life on earth. It’s time to drastically curtail coals use and leave it in the ground! Categories: Climate Change, Fossil Fuels, Population, Renewable Resources | Tags: Climate change, Co2 and Global Warming, Renewable energy, Sustainable energy | Permalink.